Happy Spring! It is Teresa P from Fun in K/1 and my newest blog Technology with Class. Today I am going to share with you how I made cheap and easy table top easels. I have one of these easels at each of my center areas. Our reading curriculum (we use Wonders) comes with center cards. I use these sometimes, I also have my own center task cards I use. I usually change my center tasks daily, and these make changing them out super easy. Every Monday I usually have the students write their spelling words in pen, marker and crayon. I have the card already and just flip to it. So here is how I made the easels. (I am sharing with you and letting you ;earn from my mistakes!) 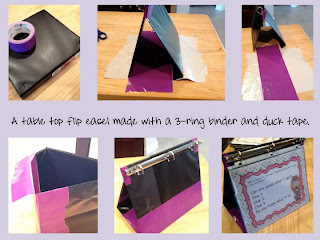 I had a great idea to make them with a binder and duck tape. So I set to work making them and taking pictures of all the steps to share with you. 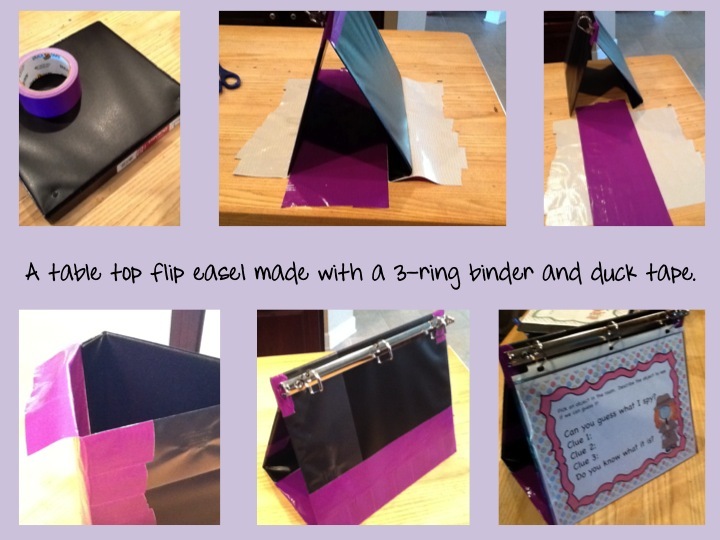 First I took a cheap binder with the 3-rings mounted to the back cover, so it opens and folds back flat. I folded it back bent the cover to be even with the other cover. I also taped the top part together. Then I made a sheet with duck tape making a base for the easel. It didn't take long and turned out pretty well. OK, when I was in bed trying to sleep my mind kept working as usual and I came up with a way easier way to accomplish this same goal! I took the "economic" super cheap binder with the 3-rings mounted to the binder. I then clipped a binder clip in the middle of the front and back cover. 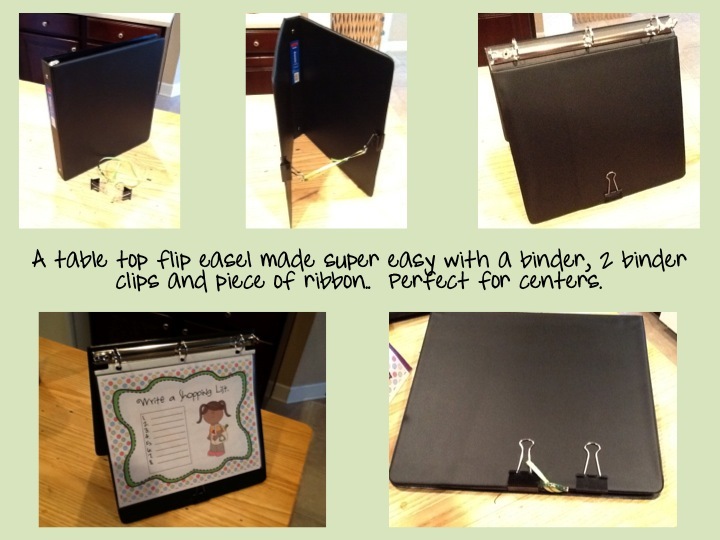 I used ribbon to tie the binder clips together to the binder would stand by itself. When you aren't using it you can unclip one of the clips and close it for easy storage. I think this option is much easier! This is actually how I did the other 5 binders for my room. 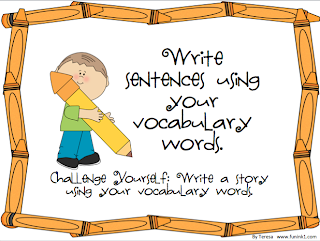 Here are a few writing center cards for you to use on these easels. Wow! That's an amazing! I've been tried to figure it out where to buy, or how to make or etc.. but this one..blows my mind away!! Amazing! Thanks for the genius one and save tons money.